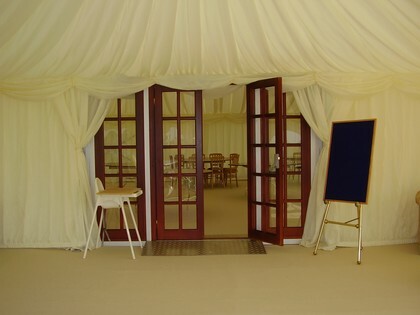 Have you considered an entrance door for your marquee hire? A polished, glazed entrance door is an impressive way of complementing your marquee entrance and making the structure fully protected against the elements. 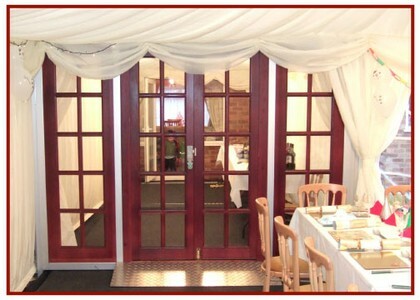 It also gives you the ability to lock the front door making access to your marquee easier and safer. 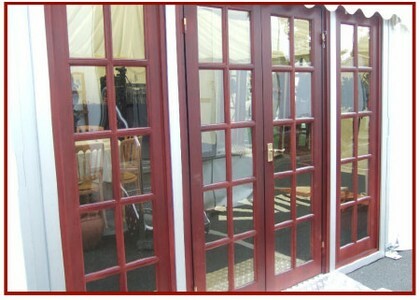 The glazed doorway will make a real impression on your guests and create an exciting entrance to your marquee. The French doors also come as standard with glazed windows each side and aluminium ramps to avoid any potential trip hazards.